Lunch time!!! 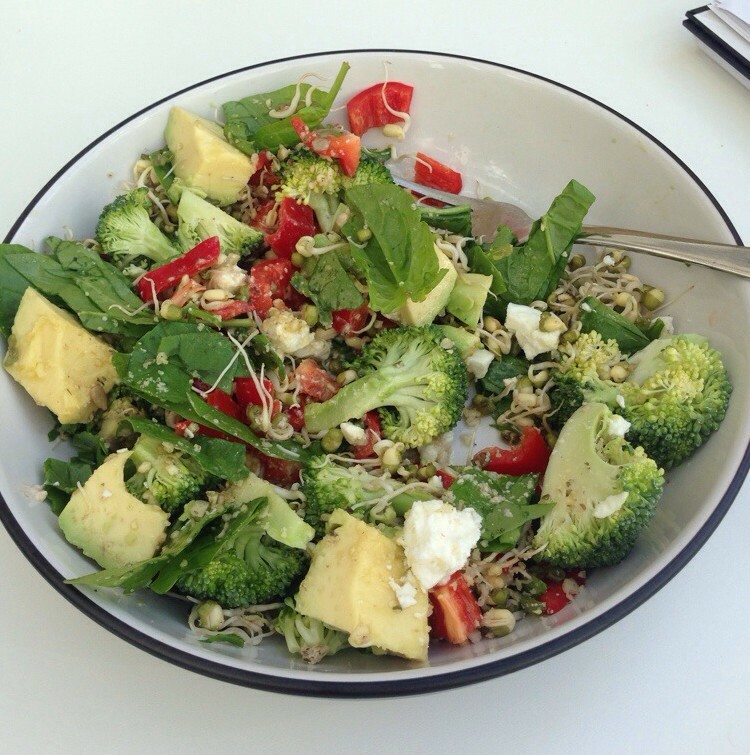 This raw super salad, filled with sprouts, nuts and seeds, will kick your energy levels to a new high whilst ensuring you are getting maximum nutrients into your bod. I’m actually eating it as I’m writing this blog. Why raw? Well, eating raw veg is important as many enzymes do not survive the heating process in normal cooking procedures – in other words you are not maximizing the goodness in the ingredients. Therefore, I try to keep at least 50% (or more) of all things on my plate raw.